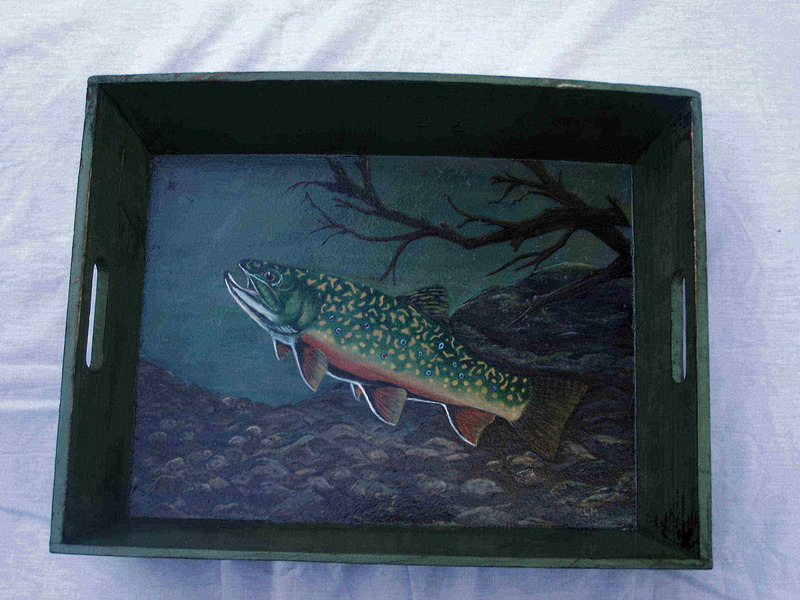 This original Brook Trout painting is on a green wooden tray. The outside dimensions of the tray are 17.5 wide by 13.25 high. The tray is 4 inches deep. The painted surface is 16 by 11.75 inches and is protected by 10 coats of polycrylic so the tray is fully functional and can be used without fear of damaging the underlying painting.